This section provide a template that you can use to develop training materials for your Web Help Desk clients. Use this material as it is, or copy and revise it to reflect your organization's practices and Web Help Desk configuration. Clients can use Web Help Desk to submit support requests (called tickets). They can then view and update tickets as needed, and confirm that they have been resolved. The most efficient and direct way to enter your request is through the Web Help Desk web console. 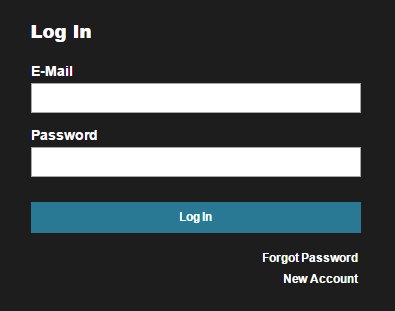 If you have an account, enter your login ID and password and click Log In. If you do not have an account, click New Account, enter account information, and click Submit. The Help Request page is displayed. Your profile includes contact information (such as email and cell phone) and preferences. Edit your profile to add or update information. The information in your profile will be used to contact you about requests. SolarWinds recommends reviewing your profile before you create your first request. In the Web Help Desk console toolbar, click Profile to display your profile. Optionally, you can enter additional contact information. For example, you can add your mobile phone number to the Phone 2 field. If your organization has multiple locations, verify that the Location field shows your work location. This information can be used to determine which support team receives your request. If the Help Request page is not displayed, click Request in the Web Help Desk console toolbar. Select the Request Type option that best describes the reason for your request. After you select the request type, one or more subcategory fields might be displayed. Select an option in each subcategory field. If any FAQs are associated with the selected request type, they are listed on the right. FAQs can sometimes provide the information you need to resolve the issue. If one of the FAQs seems to be related to your issue, click the FAQ title to open it in a separate browser tab. Enter a brief description of your request in the Subject field. In the Request Detail section, provide a detailed explanation of your request or problem. If you have supporting documents such as log files, screen shots, or configuration files, click Add File and attach them to the request. Verify that your Location is correct. Select the Priority, using the following guidelines. If you select Urgent or High, make sure that you are available for the initial response, or provide the name and phone number of an alternate contact. A failure that severely impacts critical operations. The problem affects an entire location or a significant number of users. Customers are directly impacted, or critical operations such as shipping, manufacturing, or order entry are unavailable or severely impacted. An issue that degrades response times or affects normal operations. A website or service is functioning, but performance is degraded. The problem affects a small to medium number of users. Customers are directly impacted, or critical operations such as shipping, manufacturing, or order entry are available but negatively impacted. An issue that affects a small number of users or an individual user. A work-around is available. Low Questions or requests for information. Complete any additional fields associated with the selected Request Type. A blue information icon identifies required fields. Click Save to create the ticket. The system sends you a confirmation message containing your ticket number. In the Web Help Desk console toolbar, click History. The Ticket History screen lists all tickets you have entered. To search for a ticket, enter the ticket number, ticket status, or a group of words contained in the Subject, Request Details, or Notes, and then click Search. The Ticket History page displays a list of tickets that match the search criteria. A blue dot next to the ticket number indicates that the ticket was updated by the tech (the person responsible for resolving issues), and you have not viewed the new information. To sort the list of tickets, click a column heading to sort by the values in that column. Click the column heading again to reverse the sort order. You can add information to a ticket by adding notes or attaching files. Locate the ticket on the Ticket History page. Click the blue ticket number box to display the ticket details. To add a note, click Add Note and enter the note text. To attach a file, click Add File and select the file. Your changes are saved and the assigned tech is notified. Web Help Desk can send emails when a change is made to your ticket. For example, if a tech needs additional information, the tech can add a note to describe the required information and Web Help Desk sends an email to request it. You can add a note to the ticket from the email. Click the Add Note link in the body of the email. A new email is created. Replace the text in the body of the email with the note you want to add, and send the email. Web Help Desk automatically updates the ticket and notifies the assigned tech that new information is available. If you no longer need the requested service, you can cancel the ticket. Click OK at the confirmation message. The ticket status is changed to Canceled and the assigned tech is notified. When the assigned tech resolves your request, Web Help Desk sends you an email. The email contains notes to describe what was done to resolve the reported issue, or what was provided to complete your service request. If you are satisfied with the resolution, click Yes to close the ticket. Then click Send to send the generated email. You will receive an email confirmation that the ticket is closed. If you are not satisfied with the resolution, click No to notify the assigned tech. Then click Send to send the generated email. Click FAQs in the Web Help Desk toolbar. Specify the search criteria at the top of the window. The FAQs that meet your search criteria are listed. To display the answer to a question, click Show Answer. To indicate whether the FAQ was helpful, click Vote and select a rating of 1 through 5 stars (5 being most helpful, 1 being least helpful). This feedback helps Web Help Desk improve the quality of the FAQ entry.